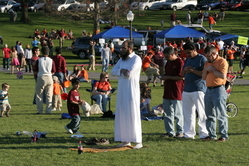 Men in prayer at the April 21 community vigil/picnic on the drillfield. 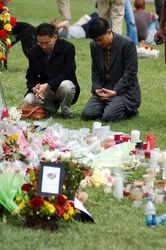 People prayed for the victims in front of the Burrus Hall one week after the shooting. 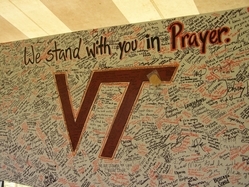 People have come together on the drill field and offer prayer. 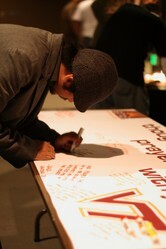 The Jewish community mourns with Virginia Tech.